On two adjacent balconies live two absurd families; the Blue Clowns and the Red Clowns. They squabble about everything and anything, from politics to football to every other little detail under the harsh Maltese sun. Each couple thinks that “we are better than you”. 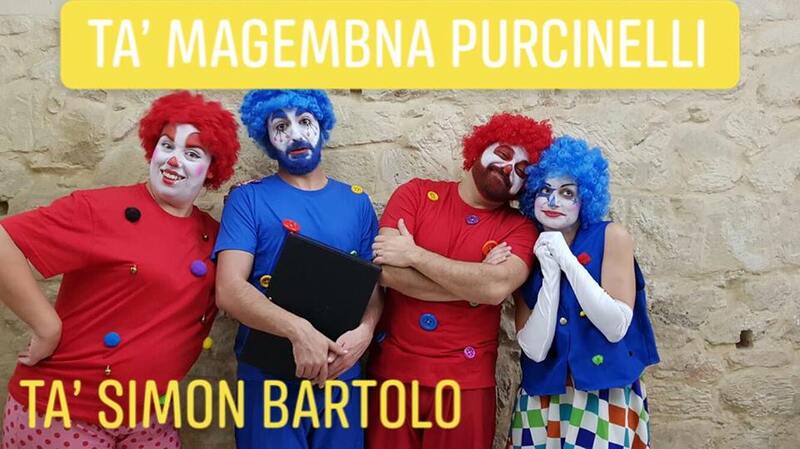 An uncomplicated parody of typical Maltese rivalries that culminates in a fierce battle which sees the couples losing their identities and hilariously ending up not even understanding who “we” actually are.